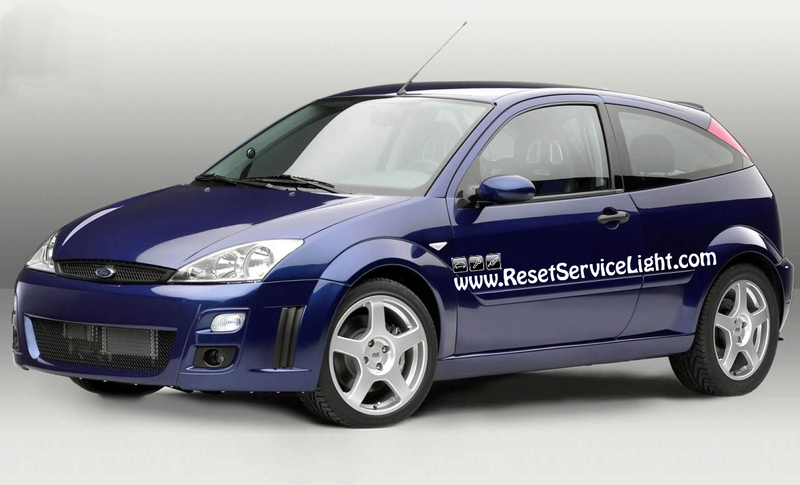 Do it yourself, change the spark plugs on your Ford Focus, manufactured between the years 1999 and 2007. So the repair process should be the same on models produced in the years 2000, 2001, 2002, 2003, 2004, 2005 and 2006. You will need four new spark plugs from your local parts store, an 8 mm socket wrench and a spark plug socket wrench with an extension. In some cases it is better to have some dielectric grease, to apply on the ignition coils. 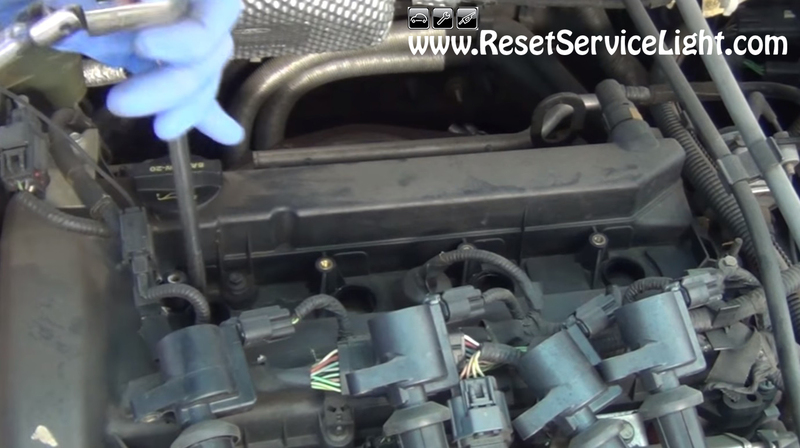 The repair process is quite easy and it will not take you more than 25 minutes. In the beginning, open the hood of your car and unplug the negative cable of the battery in order to avoid any errors or any type of electrical damage on the car’s components. 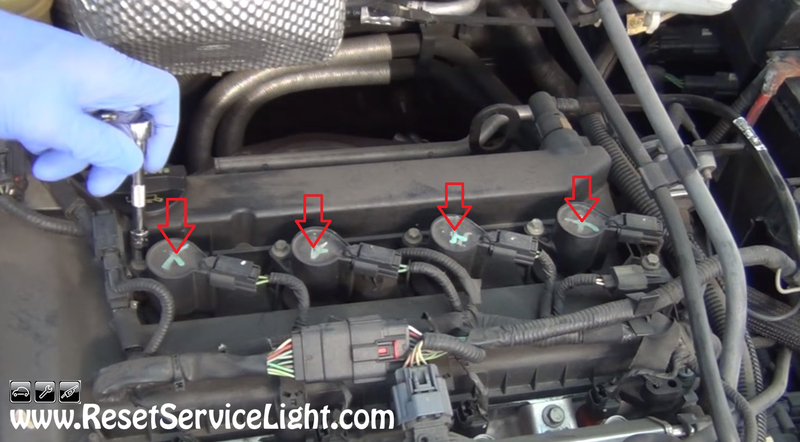 Then, go above the engine and locate the four ignition coils, marked with red arrows in the next image. You have to remove these coils by unscrewing the 8 mm bolts that hold them. You can complete this simple task using the socket wrench. After you remove the bolts, just pull up the coils. Then, using the spark plug socket wrench and an extension, unscrew the old spark plugs and remove them from their sockets (you can see the picture below). Now, install the proper replacements. Always check the compatibility of the new spark plugs before acquiring them. Before installing the ignition coils, you can use some dielectric grease, placed just inside their tips. Install all the four coils back, check the connection of their cables and tighten the bolts that hold them. In the end, reconnect the negative cable on the battery and you are done. 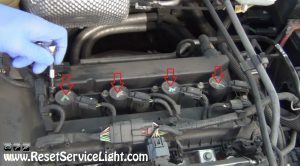 This is all you need to know if you wish to change the spark plugs on your Ford Focus, the model produced between the years 1999 and 2007.